When you are running a business, it is important for you to have the proper technological equipment. Such equipment not only helps complete daily tasks, it also makes data storage access, work communications, and business negotiations more efficient. While you can invest in the resources, you still need the expertise to assemble and manage your network so it can run at optimum efficiency. Commercial AV companies can provide you with such expertise. Reliable and dependable AV companies do more than just install your tech equipment—they are also experienced engineers who make sure that their jobs are performed at the highest level of expertise. They understand that tech setups require training and accountability that their networks will work best for your needs. Communication is another important quality. 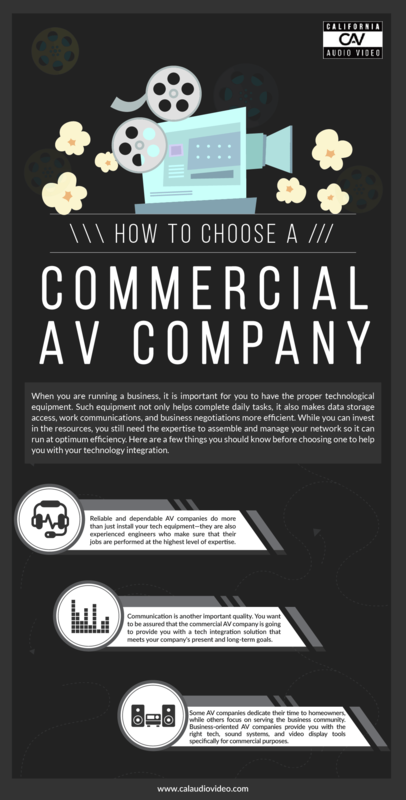 You want to be assured that the commercial AV company is going to provide you with a tech integration solution that meets your company’s present and long-term goals. Before you begin installing your technology, speak to an AV specialist. He or she can help you determine what exactly your system requires. This prevents misunderstandings and allows for modifications to the system before it is installed. Not all commercial AV companies have the same goals and priorities. Some AV companies dedicate their time to homeowners, while others focus on serving the business community. Business-oriented AV companies provide you with the right tech, sound systems, and video display tools specifically for commercial purposes. California Audio Video, Inc., is a tech service company that offers various types of solutions that can help you integrate various technology operations, which includes wireless lighting for customized control. California Audio Video, Inc., has dealt with over 3,000 residential and commercial AV integration projects. Their experts have the knowledge and experience to maximize their clients’ technology solutions. 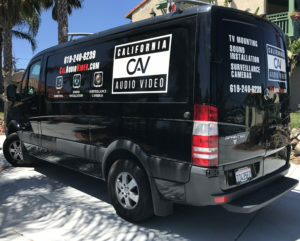 For more information about California Audio Video’s AV integrations services, visit calaudiovideo.com. I agree that a good AV company will do more than install but also provide maintenance. It would be good to find a company that will provide both these services. My brother is looking for an AV company, so he’ll have to find one that will help long term.